Led by Coach John Harbaugh, this Ravens team has to be one of the most resilient teams; overcoming injuries, a coaching change and players overcoming family tragedies. Quick take: Ravens get hot at the end of the season and Ray Lewis’ retirement announcement (final ride) gives the team a sense of urgency in the playoffs. Quarterback Joe Flacco proves all the “experts’ and doubters wrong by playing his best football on the road in the playoffs and in the Super Bowl. 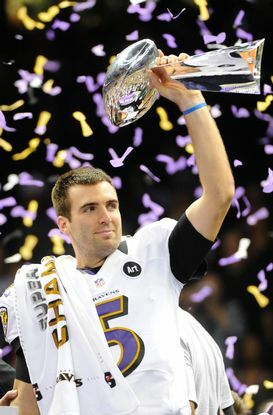 Flacco is awarded Super Bowl’s Most Valuable Player. Key players: Receiver Anqan Boldin and WR/KR Jacoby Jones help get the Ravens out to an early lead. Key Rookie: OG Kelechi Osemele, played solid at guard throughout the playoffs and in the Super Bowl. Key veteran: FS Ed Reed who had an interception. 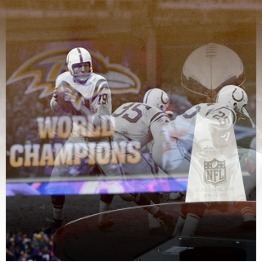 Led by head coach Brian Billick, the Baltimore Ravens win their first Super Bowl! Defense wins Championships –and what a defense it was: The defensive starting line-up: MLB Ray Lewis, DT Sam Adams, DE Rob Burnett, DT Tony Siragusa, RE Michael McCrary, OLB Peter Bowlware, OLB Jamie Sharper, CB Duane Starks, CB Chris McAlister, SS Kim Herring, FS Rod Woodsen. 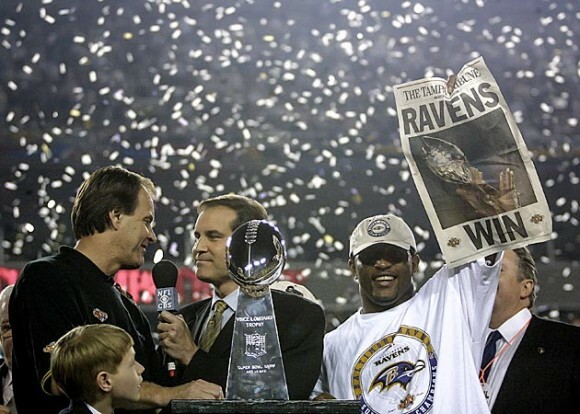 The Ravens defense was arguably the best defense in the modern era. The defense still holds the record for the fewest points allowed in a 16 game season at 165 points. And in the Super Bowl game the defense didn’t allow a touchdown. MVP was MLB Ray Lewis. 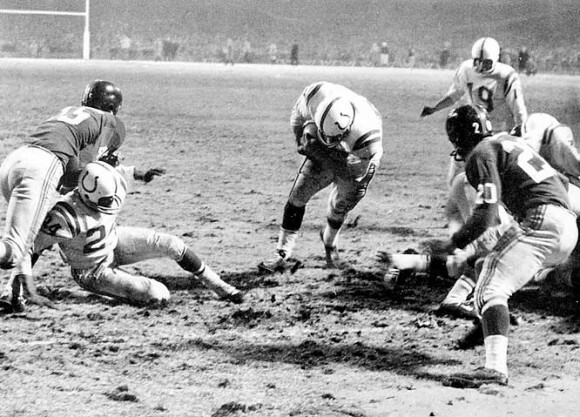 A bit of redemption for this team, who lost to the NY Jets in Super Bowl III. 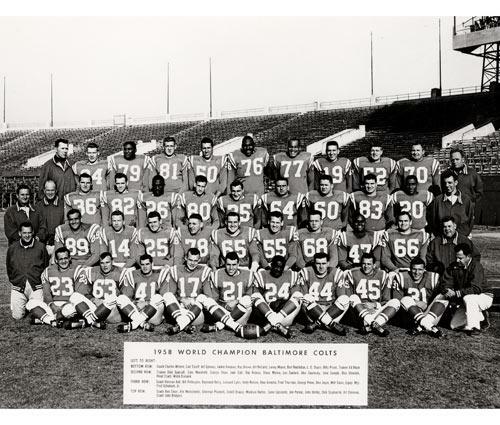 This team had plenty of notables: QB Johnny Unitas, LB Mike Curtis, DE Bubba Smith, LB Ted Hendrick, TE John Mackey. 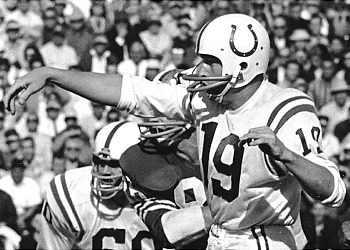 QB Earl Morrall came in after Unitas was injured. LB Mike Curtis had a key interception to help put the Colts in field goal position to win the game. 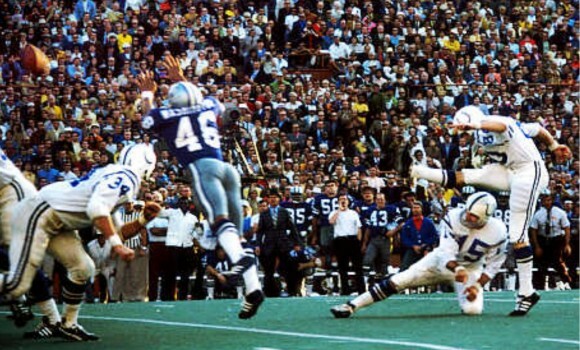 Rookie kicker Jim O’Brian hit the game winning field-goal with five seconds left. 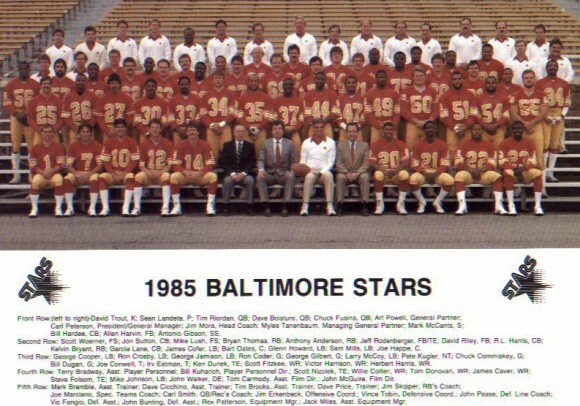 Gene did a great article about Baltimore’s legendary pro football history! Championships in all those leagues! 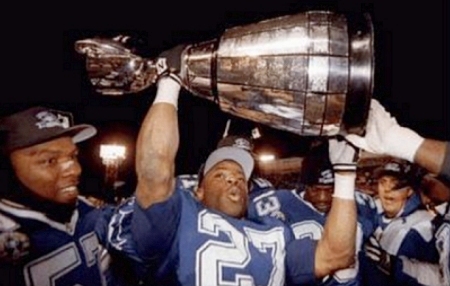 When it comes to pro football not to many cities can stake this claim for winning the Vince Lombardi with two different teams(Colts and Ravens), a CFL Grey Cup and a USFL Championship! No other American city can make that claim. Murderer? Woman beater? Lol not facts, fiction.. Pittsburghs QB Ben Rapistburger? Raped several women, FACT! devoid of any monthly membership. When you make a long term association with a few targeted venues, you can negotiate better price terms and also obtain credit from the venue owners.